When we asked another trusted nutritionist, Dara Godfrey, what the benefits of charcoal water are, she also responded that she’s not the biggest fan of charcoal. Why? Yet certified culinary nutritionist and holistic health coach Neda Varbanova of Healthy With Nedi tells Brydie that some of charcoal’s health benefits include detoxifying the body, relieving gas and bloating, whitening teeth, and treating alcohol poisoning in emergency situations. What gives the polarizing responses? Well, for one, the “benefits” of activated charcoal (like absorbing excess medications) isn’t always a good thing. For example, if someone takes medication daily, consuming activated charcoal could prevent the drug from being absorbed from the gut into the bloodstream. Ahead, we take a look at the supposed health benefits of activated charcoal and investigate which ones are supported and which ones lack any evidence. 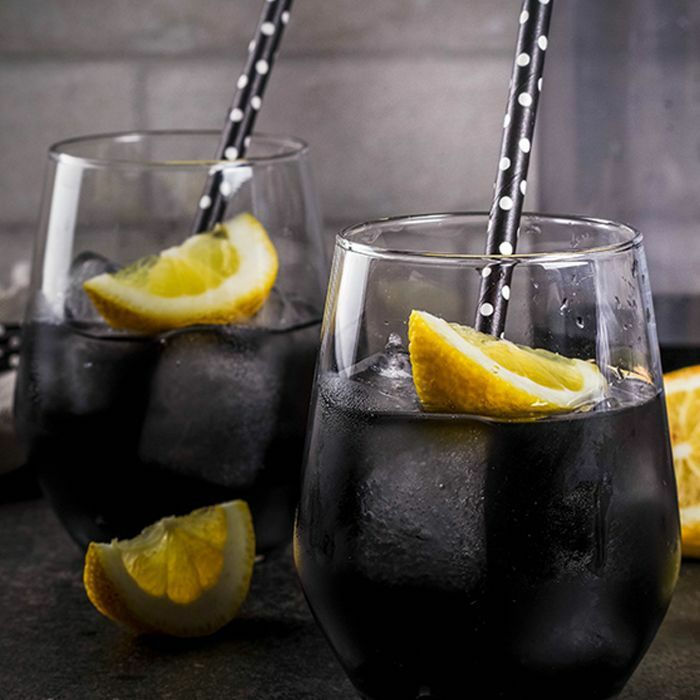 Kimberly says that charcoal water can help with gas and nausea, BUT as Thomas Pirelli, Ph.D., taught her, “there is a lack of scientific evidence to support the claims that activated charcoal helps reduce intestinal gases, indigestion, and diarrhea,” she states. “Because of the lack of enough studies, this brings up questions as to what it does to the microbiome and glut flora.” She explains, “There is wonderful bacteria in the gut, and if it captures general toxins, it might also take nutrients with it.” Her recommendation for helping digestion is a taking a probiotic like SBO probiotics. According to a recent study, “There is evidence to suggest that activated charcoal is helpful in removing excess aspirin, antidepressant medications, antiarrhythmic medications, and theophylline from the body if taken within the first two hours of a poisoning or overdose incident,” shares Kimberly. Kimberly shares that there is no conclusive evidence to suggest that activated charcoal has any effect on lowering cholesterol for most people. Kimberly’s stance is in agreement with another article, which states to not consume activated charcoal routinely as part of your daily health plan. Tell us: Do you drink charcoal water? Have you noticed any health benefits or side effects? Sound off in the comments below, and next, see what happened when our editor took a charcoal pill to prevent her hangover.